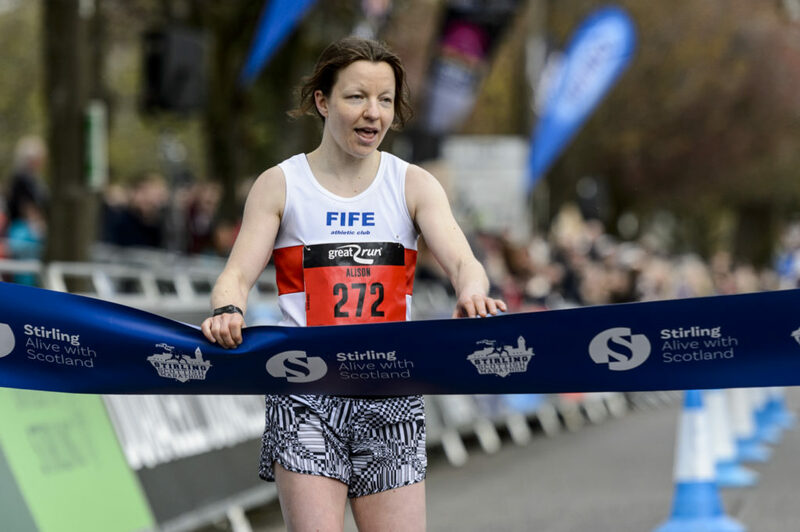 Thousands of runners took to the roads for the second-ever Stirling Scottish Marathon – as Michael Wright of Central AC and Fife AC’s Alison McGill claimed national championships gold. Marathon runners took on a brand new course with a city centre start and finish, while the half marathon saw its first staging on a city centre route with magnificent views of the Ochil Hills. The Scottish Masters medallists in the men’s race saw Tom Roche take the gold as well as the overall bronze. Silver went to Chris Devine in 2.38.58 and bronze to David Lindsay in 2.45.11. Similarly, in the Masters women’s podium top place went to overall bronze medallist Rhona Anderson, with the silver headed for Julie Gordon in 3.13.41 and bronze to Shona Donnelly in 3.15.08. Garscube Harriers took the men’s gold medals thanks to the efforts of David Lindsay, Ian Thomson and Craig Shields. The silvers went to Linlithgow and the bronzes to Dundee Road Runners. 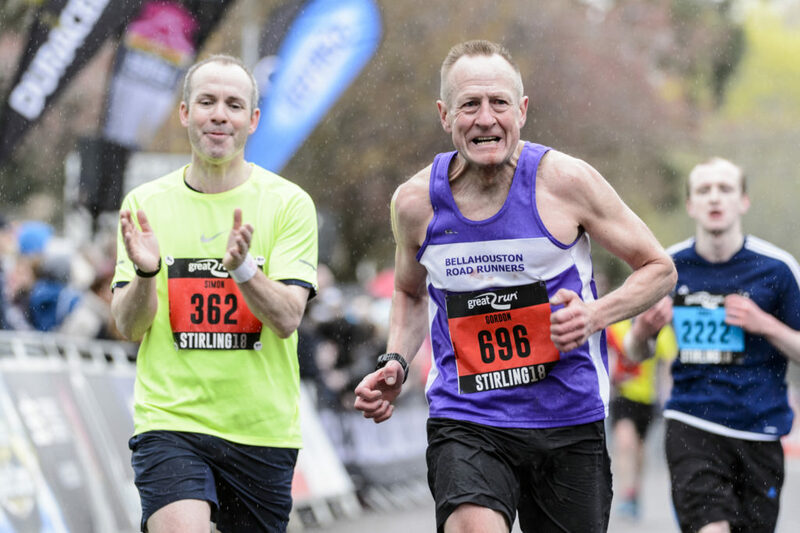 The inaugural Stirling Scottish Half Marathon was won by Michael Crawley in 69.33, with Stuart Paterson second in 75.03 and Jason Kelly third in 75.55. First woman was Sarah Brown with 86.58, Louise Tyler was second in 88.21 and Kirsty O’Brien third in 88.32. Paul Foster, Great Run Company CEO, said: ‘The Stirling Scottish Marathon has showcased central Scotland in all its glory this weekend. We’re delighted with how our second event here has turned out with runners being cheered on by thousands of supporters. The marathon and half marathon will return next year on Sunday 28 April.